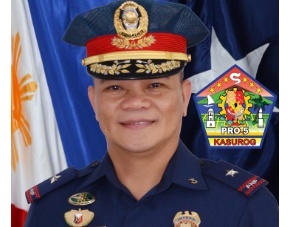 NAGA CITY (Bicol Standard) – Philippine National Police Regional Director Chief Supt. Arnel B. Escobal reiterated his stern warning against perpetrators of illegal gambling activities in the Bicol region as he installed the Senior Supt. Engelbert Z. Soriano as the new Director of Camarines Sur Provincial Police Office. Soriano replaced Senior Supt. Reynaldo Pawid earlier this week following the two consecutive attacks on police personnel in Camarines Sur. During the installation of the new Provincial Director, Escobal revealed that he expects a comprehensive campaign against all forms of illegal activities, including gambling and drugs. Escobal said that among the six provinces, Camarines Sur had the most number of positive anti-illegal gambling police operations. From January to September, some P124,790 worth of cash and items were confiscated, and 167 cases filed in court, covering the province of Camarines Sur, police records show. “Illegal gambling is a social menace. It has become a means of corruption and an influential factor for an individual’s disregard for the value of dignified work, perseverance, and thrift,” he said. “The PNP will not tolerate any form of illegal gambling not only in Camarines Sur, but also in the entire region,” he added. Meanwhile, in a related development, Malacanang announced earlier today that more cops and solders will be deployed in Bicol following the number of recent sporadic acts of violence in the region.